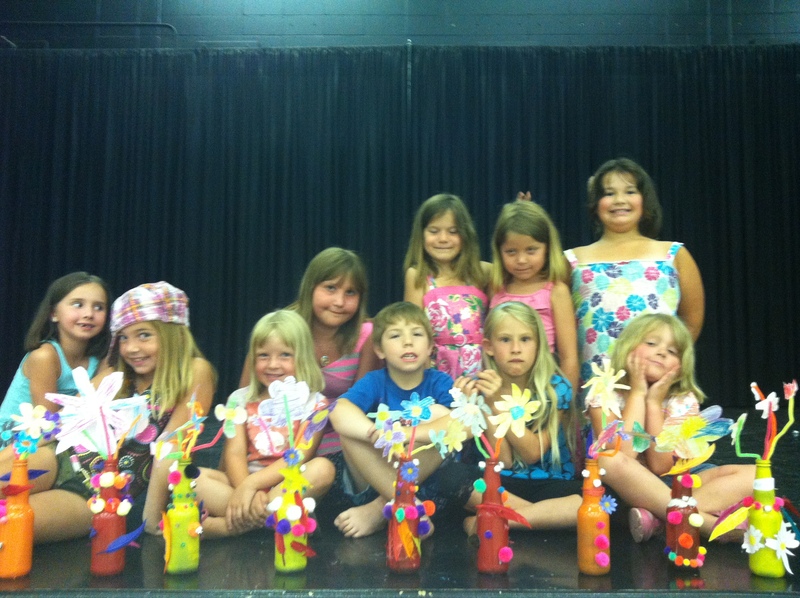 some of the summer camp kids at the summer camp on a monday! They are here, they are there, THEY ARE EVERYWHERE! The summer kids ha ve been super busy this month doing many amazing things. The Whole summer theme has been based on recycling. They are making master pieces out of anything they can get their hands on! 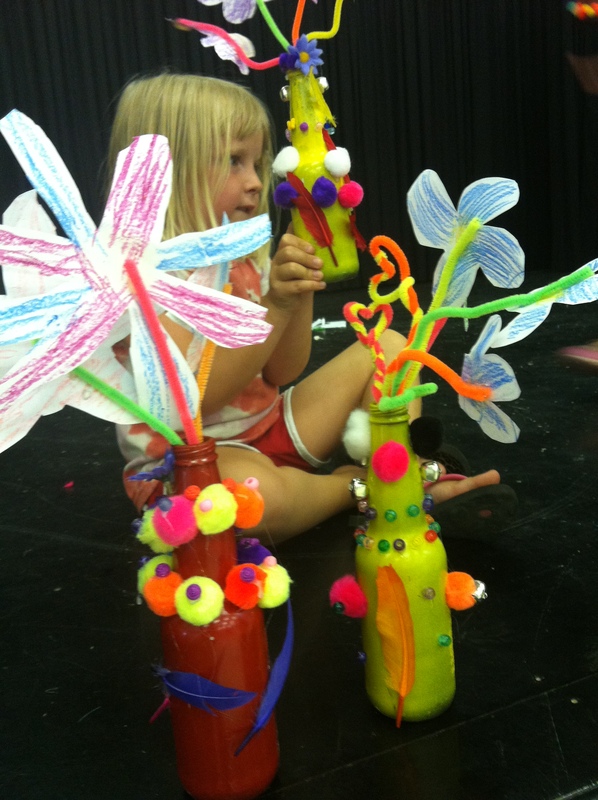 Here is a look at the beautiful vases the kids made out of nasty old glass bottles! 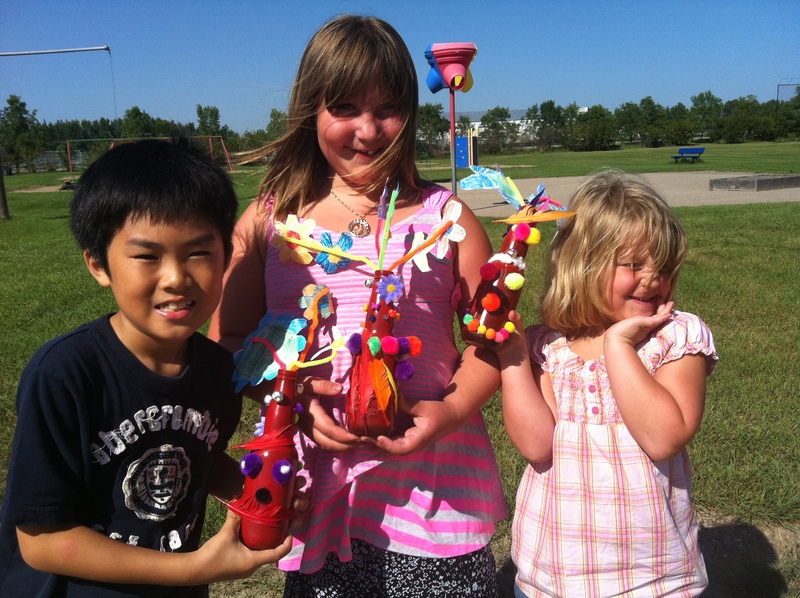 The kids had a blast making them and were super proud. Give them some glue, pipe cleaners, paper, pencil crayons and BAM beautiful decor! such a great bunch of kids!